US equity indexes closed moderately higher, sp +16pts (0.6%) at 2914. The two leaders - Trans/R2K, settled u/c and +0.4% respectively. VIX settled -2.0% at 12.25. 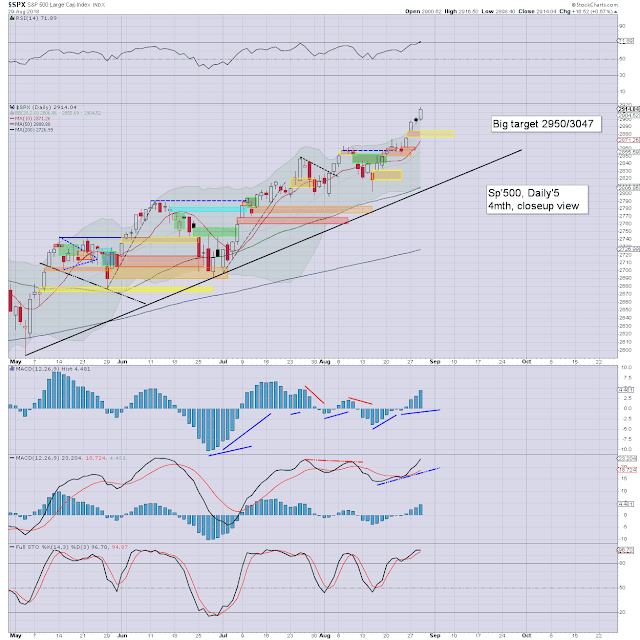 Near term outlook offers an August settlement around sp'2900. It was just another day for the equity bulls, with new historic highs for the sp'500 and Nasdaq comp'. The R2K and Trans aren't far behind, with the Dow and nyse comp' set to break the Jan' highs in Sept'/Oct. 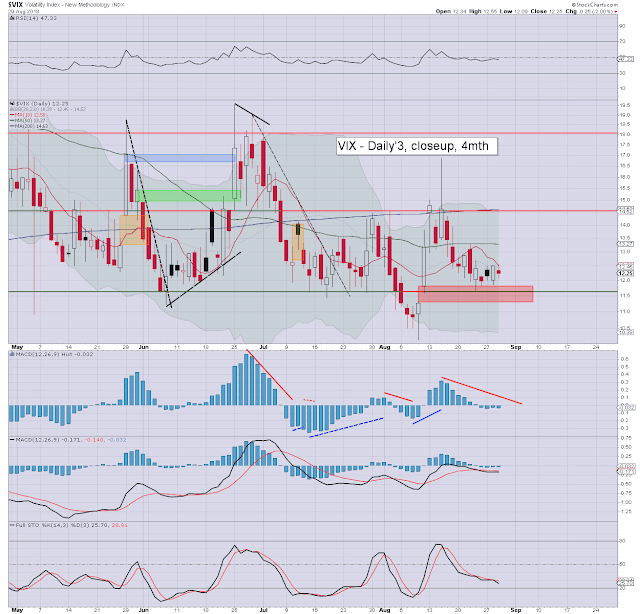 Volatility remains naturally very subdued, with the VIX settling in the 12s. Another day closer to the horror of winter.